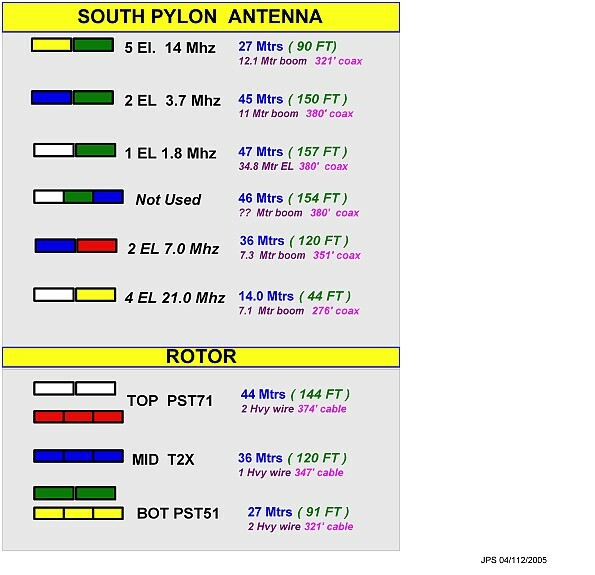 These pictures show the progression of the feedline switching in the shack. 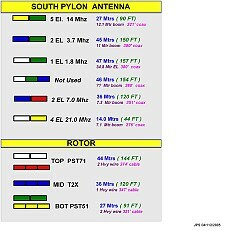 The original design required switching 12 antennas in an SO2R configuration. Original cables in Oct 2002. The last cable was added 3 hours before the CQWW 2002 SSB contest. A view of the rear of the Left table after the radios/Amps have been added. The cables started out organized but soon became a little wild. A view of the rear left table with the 18 antenna cabling. The stack matches are on the wall. 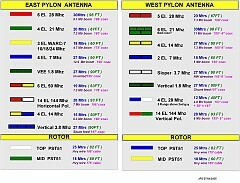 This chart shows the East and west tower cabling info. 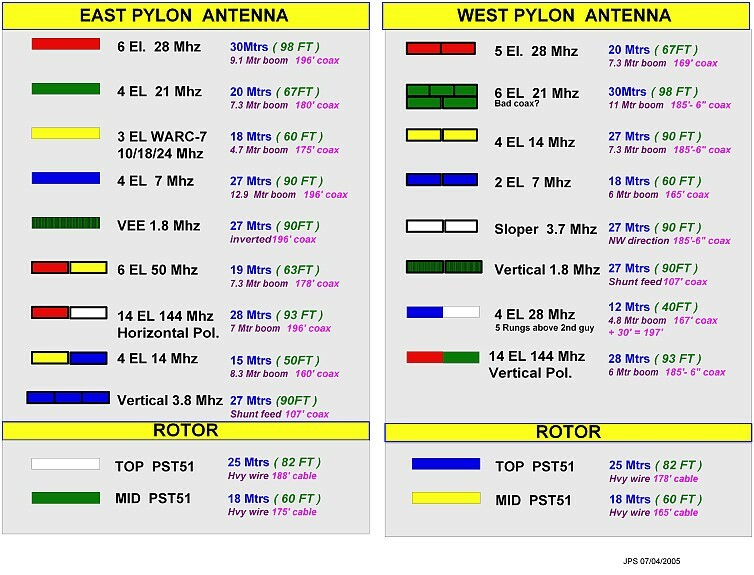 This chart shows the South tower cabling info.